Now, I’m not saying there’s anything wrong with not being a book nerd, but . . . sometimes it gets lonely when it seems like no one at the gathering speaks your language, you know? Author Bryan Davis ministers to my spirit, Owen Barfield to my mind. 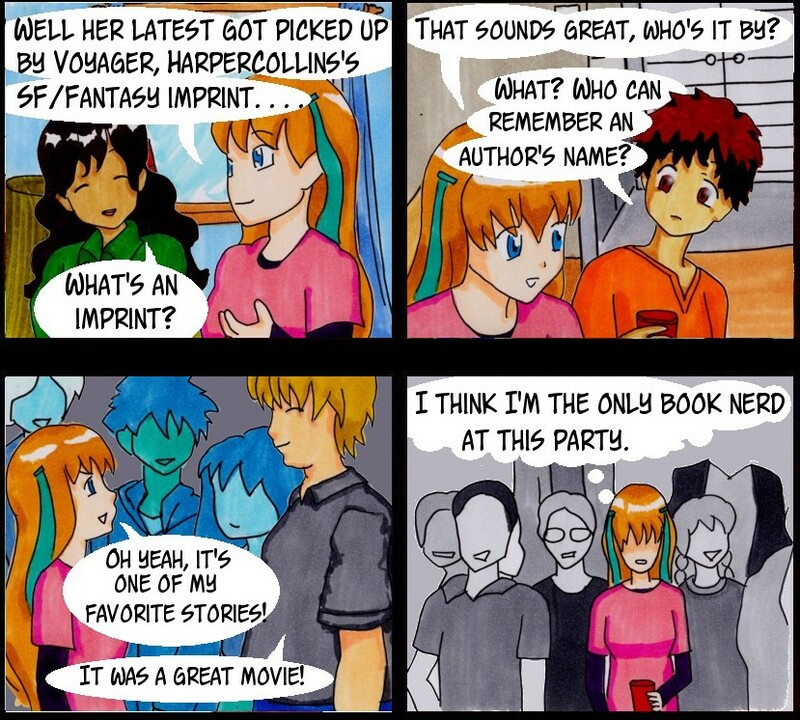 I can relate to panels 2 and 3, but I must confess I don’t know what an “imprint” is – except that books officially approved by the Catholic Church have the “imprimis”.